The days are just flying, or rather this endless night. 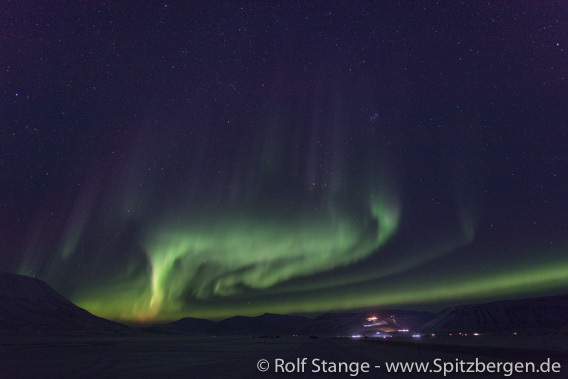 It will still take a while until you can talk of “days” again in Spitsbergen. But the light is coming back! There is clearly some faint dawn on the southern horizon around noon. The sun is not far anymore. 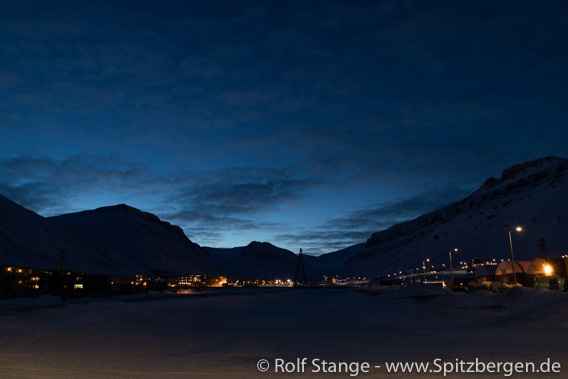 First dawning in late January, mid-day in Longyearbyen. Still, the polar night is obviously a good time to do things inside. And there is no lack of good opportunities. Next to all the work that never takes an end, there is, just to give one example, the already mentioned Svalbarseminar. And for Per Kyrre Reymert, the “cultural heritage oracle”, the same is true as for Maarten Loonen (see previous blog): you are guaranteed to get a solid portion of interesting arctic knowledge, and it is fun to listen to! A very entertaining hour where you can only try to memorise as much as you possibly can. Today, it was about the French Recherche-expedition (1838, 1839). Yes, that was the one with Leonie D’Aunet, the first woman who visited Spitsbergen. As far as we know, that is. 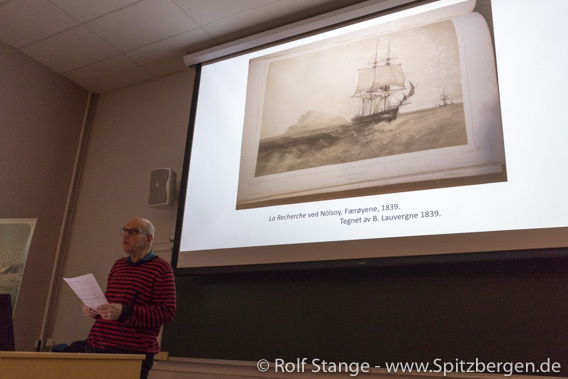 Per Kyrre Reymert speaking in the Svalbardseminar at UNIS about the Recherche-expedition (in Spitsbergen 1838 and 1839). And it is certainly good to know what the guys from the Sysselmannen (government representative, police and other sovereign duties) are keeping themselves busy with. Flying drones, for example. Of course they are only doing sensible things with these drones! Who would thing of anything different … Police investigations, search and rescue operations, documenting erosion and wear and tear on cultural heritage sites … the list is long. 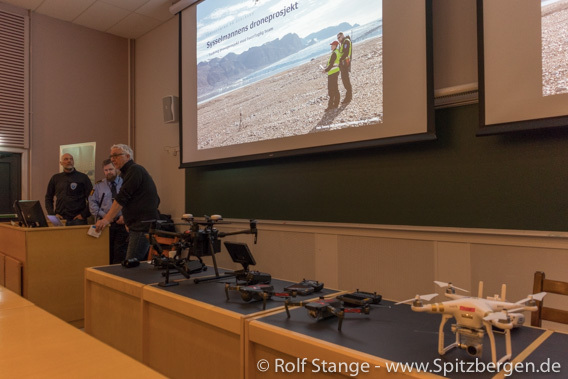 The “drone-squadron” of the Sysselmannen presenting their work in the Svalbardseminar at UNIS. It is and remains stunningly beautiful outside. The light of the moon is now less bright than last week, but the returning sun – still well below the horizon – brings several hours of blue light into the darkness during daytime. 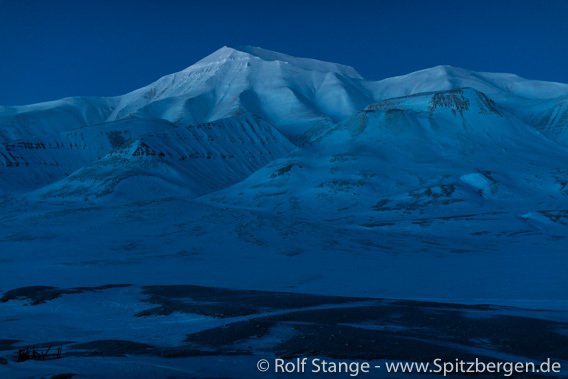 The blue light hours are coming back to Spitsbergen during daytime. A little trip into Adventdalen, far enough to escape the “big city” light pollution. The silence and the blue light are amazing! And the view into Adventdalen wettens the appetite for more. That is the way to Sassendalen, to Tempelfjord, to the east coast, … soon will the days be longer and the same goes for the trips out into nature! 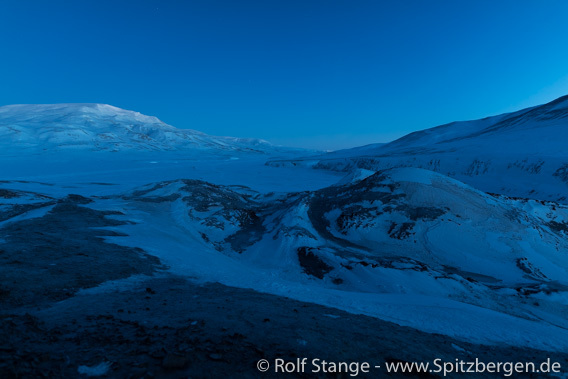 View into Adventdalen during the blue light hour(s). Soon, however, the blue light gives way to darkness again, the “days” are still short. But the night does always have something to offer. 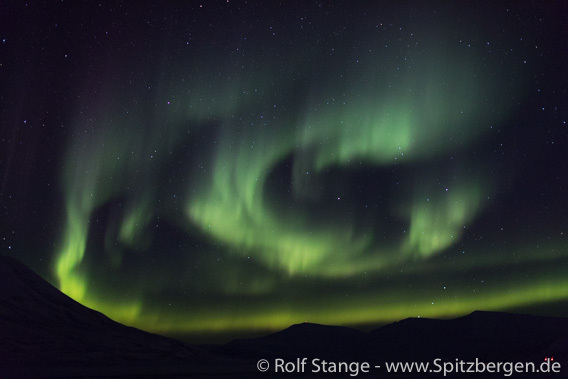 In recent days, northern light activity was a bit limited. Not that there weren’t any at all, but limited, and sometimes you do also have to sleep, so it is inevitable to miss out sometimes. It is all about being in the right time at the right place, and that little bit of luck! Northern light over Adventdalen (I). The lights of mine 7 and some huts in the lower right corner. Northern light over Adventdalen (II).